Steffen Kurzawa has been serving as Sandoz Head of Global Communications and Member of the Executive Committee since June 2015. In his role, he is also the Chairman of the Sandoz Corporate Responsibility Council. Steffen has a keen interest in pioneering new trends at the intersection of technology and communications. A strong believer in the power of youth movements, he has championed a number of globally recognized engagement programs in the areas of environmental protection, health education and agriculture, including a world-wide public private partnership with the United Nations Environmental Program, a global Youth Agriculture Summit and the Sandoz Healthcare Access Challenge. In his work, Steffen looks for “win win” partnerships to bring the corporate and public sectors together to join forces to drive towards better outcomes in health, nutrition poverty reduction and education. Steffen was born in Dormagen on the river Rhine (Germany). He studied economics at the University of Cologne and worked as a journalist for various print and audiovisual media, before joining the corporate sector. 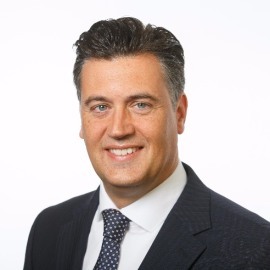 Prior to his current role at Sandoz, Steffen held positions of increasing responsibility at Bayer, including Regional Director of Bayer Group Communications Asia Pacific, Head of International PR and Media Relations of Bayer Group, as well as global head of the business communications and public affairs function at Bayer CropScience. He has worked and lived in Germany, Japan and Singapore, and has extensive international communications experience.